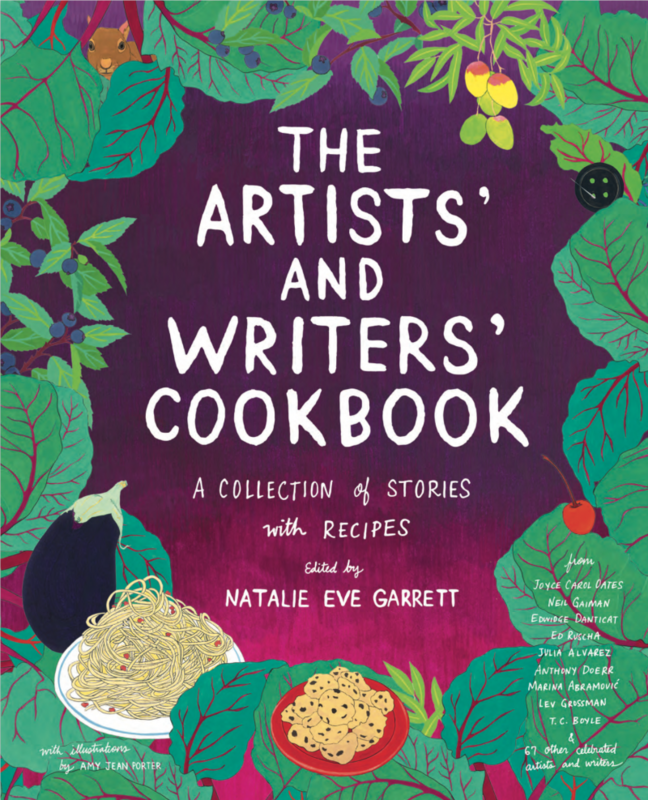 The Artists’ and Writers’ Cookbook: A Collection of Stories with Recipes © 2016, edited by Natalie Eve Garrett, illustrated by Amy Jean Porter, published by powerHouse Books.. There will never not be a market for the cookbook, with all its various subcategories, from fad diet to celebrity chef. 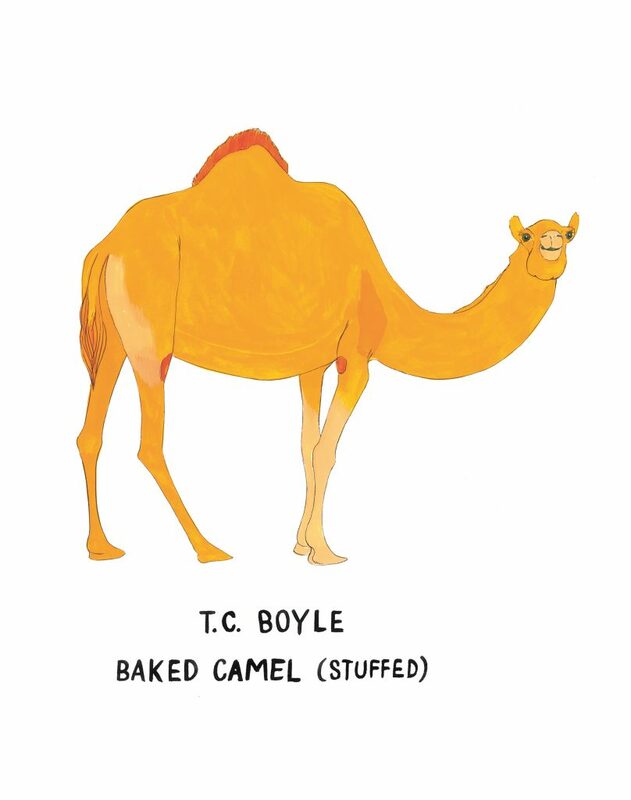 While The Onion’s proposed “Nietzschean Diet” (which “lets you eat whatever you fear most”) may never catch on, one unusual cookbook niche does involve the recipes of famous writers, artists, musicians and other high- and pop-culture figures. The genre flourished in the sixties and seventies, with Swingers & Singers in the Kitchen in 1967, Salvador Dalí’s Les Diners de Gala in 1973, and the MoMA’s Artists’ Cookbook in 1978. Predating these celebrity recipe books, The Artists’ & Writers’ Cookbook appeared in 1961. Brain Pickings describes the book as “a lavish 350-page vintage tome, illustrated with 19th-century engravings and original drawings by Marcel Duchamp, Robert Osbourn, and Alexandre Istrati.” It featured 220 recipes by painters, novelists, poets, and sculptors like Man Ray, John Keats, Robert Graves, Harper Lee, Georges Simenon, and more. What’s old has become new again, with the recent reprinting of Dalí’s cookbook by Taschen and, on October 11th, the publication of an updated Artists’ and Writers’ Cookbook, edited by Natalie Eve Garrett and illustrated by Amy Jean Porter. The essays and narratives in the new The Artists’ and Writers’ Cookbook are “at turns,” writes editor Natalie Eve Garrett, “comedic and heart-wrenching, personal and apocalyptic, with recipes that are enchanting to read and recreate.” As you can see from the small sampling here, you need not have any pretentions to haute cuisine to follow most of them. 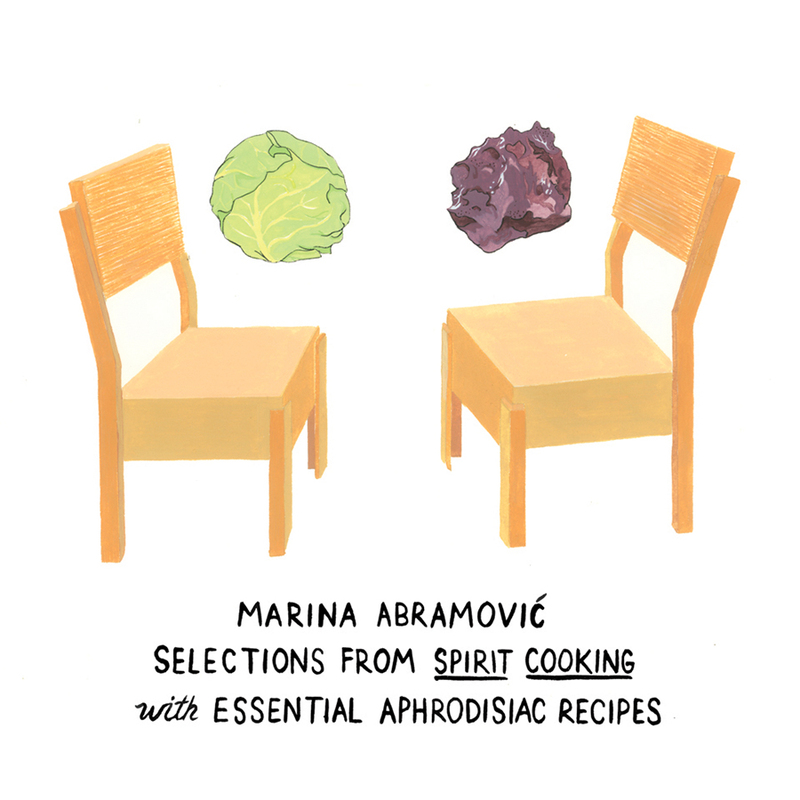 And as the book's subtitle---"A Collection of Stories with Recipes"---suggests, you needn’t cook at all to find joy in this diverse assemblage of artists and writers' associations with food, that most personal and intimate, yet also culturally defining and communal of subjects. Pick up a copy of The Artists’ and Writers’ Cookbook on Amazon. We're hoping to rely on our loyal readers rather than erratic ads. To support Open Culture's continued operation, please consider making a donation. We thank you! We're hoping to rely on loyal readers, rather than erratic ads. Click the Donate button and support Open Culture. We thank you! Get the best cultural and educational resources on the web curated for you in a daily email. We never spam. Unsubscribe at any time. Open Culture scours the web for the best educational media. We find the free courses and audio books you need, the language lessons & educational videos you want, and plenty of enlightenment in between. Do you want more open culture? if you like our Facebook fanpage, you'll receive more articles like the one you just read!